Collection of ethical sayings from Bible and Talmud. A eternidade da Ley de Moseh (the eternity of the law of Moses). Collection of ethical sayings from Bible and Talmud, 19th century. 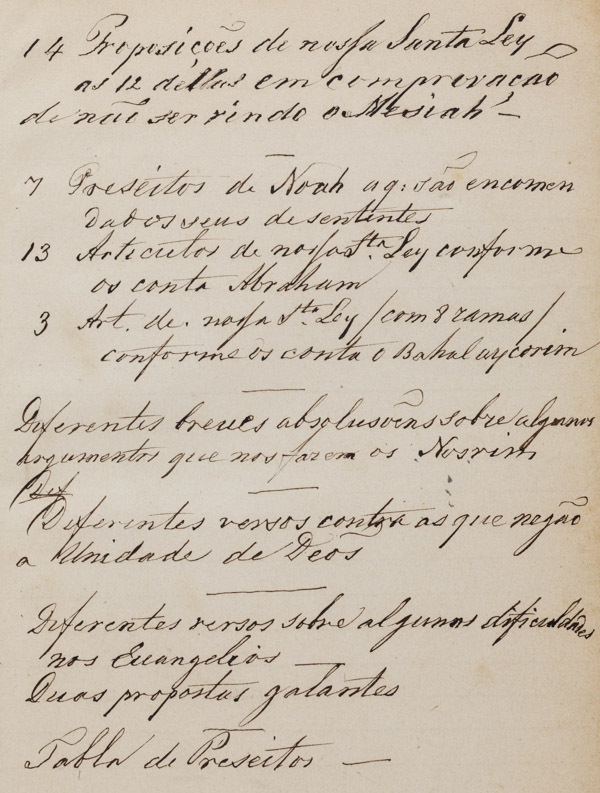 f. 120: Table of contents. Text in Portuguese with some Spanish quotations / Paper / 15,7 x 9,8 cm. / 25 ff. / Current writing of the 19th century / Title written on top of f. 1r. Fuks 166. Fundação Calouste Gulbenkian.